In a new outpour of unsourced leaked information, IGN had a whole ton of new information to reveal. First of all, they claim to know that the Wii 2 may be called the “Stream.” However, they note that this is only one of several names Nintendo is considering for the console. 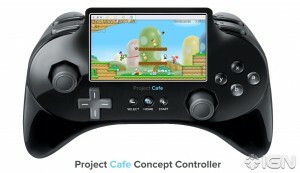 Next, they reconfirmed that every controller has a touchscreen built into it, and that games can be streamed to them. However, IGN mentioned that the console is so powerful that it may be possible to provide an entire virtualized console for every controller. The console’s design will supposedly look like a modernized version of the SNES, and be roughly the size of an original-model Xbox 360. Moving on, IGN says that the console will probably cost between $350-$400, due to its relatively high manufacturing cost. Along with that, they announced that it’s being manufactured by the Taiwanese company Foxconn – no big surprise there, as Foxconn already manufactures the overwhelming majority of our electronics. The first units will supposedly begin shipping out in October, meaning the earliest possible release date is between mid-October and November; but it’s far more likely that Nintendo will wait until 2012 to release the system, so they can spend time building up a large supply of units and quality launch titles. Lastly, IGN reconfirmed that the system will utilize a GPU from AMD’s R700 series, which is noticeably more powerful than the PlayStation 3’s GPU. It was also restated that the Wii 2’s processor was a custom triple-core solution by IBM similar to the Xbox 360’s, but running at far higher clock speeds. They mentioned support for 1080p and stereoscopic 3D output as well, but the latter will probably not become a staple feature of the system. Remember, all this is still strictly rumour and should not be taken as fact. However, they are so confident in their sources that they wrote this article to explain why you should trust what they say. You might want to have a read through it if you’ve got doubts. IGN is putting alot of their credibility on the line for this. I’m inclined to believe they are sure this is true. Then it’s a win-win situation for both my well-being and all that doubt about what this system will be like.